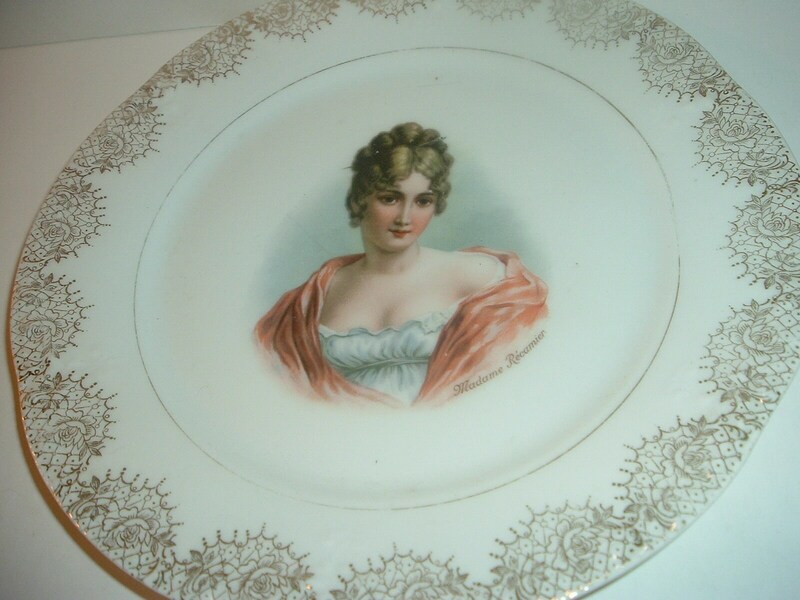 This vintage lady portrait plate measures approx. 9" across. 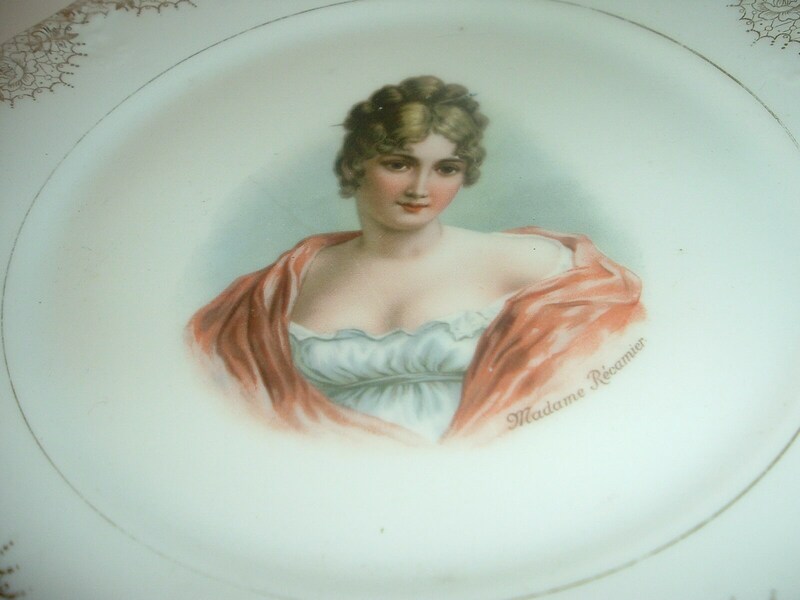 It features a lady portrait in the center with the signing "Madame Recamier" below her left shoulder. 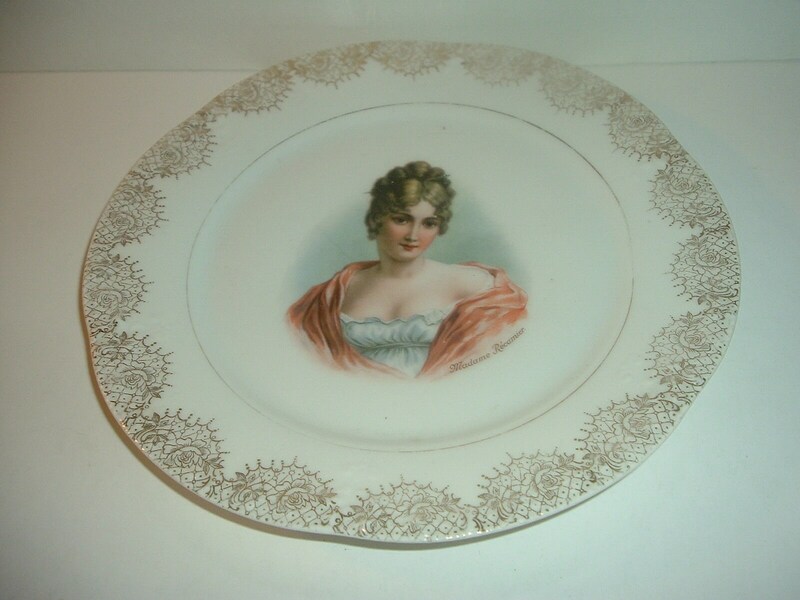 This is porcelain with gold designwork around the outer edge and a thin line of gold trim around the portrait. I notice some gold wear on the trim surrounding the portrait. The gold designwork is still strong. The lady is excellent. No chips, no cracks, and no scratching. 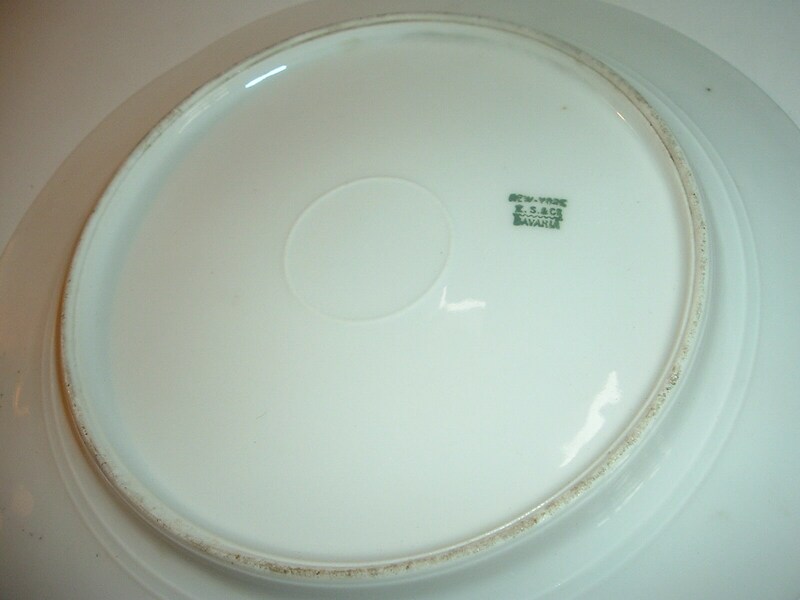 The mark on the backside says (looks like) New York E.S. & Co. Bavaria. Very pretty! I gladly combine shipping.